BRYAN EATON/Staff photo. 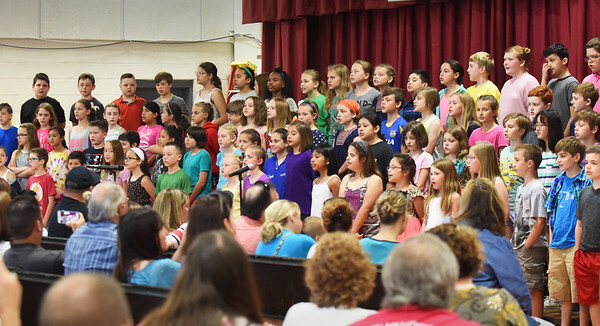 Fourth-graders sing "You're Beautiful," one of several songs they sang for their Celebration Assembly in front of parents on Tuesday morning. Their last day of school is Thursday and they will be heading to Amesbury Middle School in the fall.